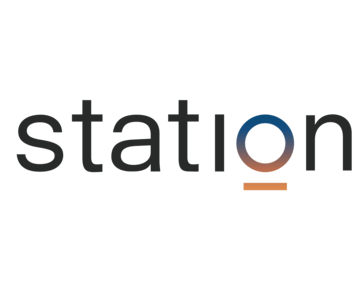 Station is a desktop application for all of the web applications you use at work. It offers a consistent and coherent workspace for all your work applications with a smart dock organizing all of your applications and pages, a quick switch allowing to access applications and documents at the speed of light, a notification center helping you to stay up to date while keeping your focus. ""One app to rule them all" is not an overstatement." Where do I even begin? I have multiple emails, multiple Slack channels, a Skype account, online accounting, linkedin, dropbox, calendar, google drive... and so many more ALL in one place in an easily clickable app workspace. I don't have to have all of these apps open at the same time, and I get desktop notifications for each one in real time! The only thing that I dislike about my Station is that when a single app updates it sometimes causes some bugginess with the Station App. This has only happened a few times though. One of the greatest app downloads in my last year of freelancing. Great notifications, "focus mode" when you need it, and above all, ALL of my most highly utilized apps and functions all in one single app. It does use quite a lot of CPU power, so I tend to keep it open only when necessary on my laptop, but on my home workstation it is ALWAYS open. Absolutely one of my favorite things ever. They are also open to new integrations if you have other apps that you frequently use. Just submit a request for your app! Love it. I'm saving bandwidth on my CPU by not having all of these collaboration apps open at once. No app-switching, no tab-switching, just everything right where I need it. Also has a "focus" mode for ALL of my apps and notifications, which keeps me heads-down busy when I need to be. "Competition is starting. Station is still by far the best." Compared to the competitors starting to spring up, Station has the smoothest UI. I only have two apps open on my machine now; Chrome in order to google to the occasional thing and watch YouTube, and then Station to do EVERYTHING else I need to throughout my day. I wish there was a way to create a meta-process which leverage the smart search technology to automatically move me between integrated apps / specific pages within those apps in order to create a seamless flow for routine processes. Put all communication there first, and then start to explore the other apps more focused on productivity and such. Putting all your messages in one spot is such a nice experience. I am using Station as a clean way to tie together all of the various communication channels and content creation channels I use every day without the clutter and haphazardness of traditional tabs. What Other Office solution do you use? The fact that the main apps and services I use for work is in a single window. Each app is persistent, allowing unified notifications from a single window as opposed to multiple notifications across various apps. The UI and UX are also very nice, even for what is at the time of this review a rather embryonic product. Though much is promised, haven't really seen too much of intelligence in the grouping of apps and services. Like that you can customise each app's location, but better grouping can help in locating more easily what's needed very quickly. The fact that some apps go to sleep I can understand in light of concerns around battery drain, but would like an option for user to control. Apps like Instagram, the content within which is so obviously and necessarily updated all the time, should rely on a manual refresh by user to present the latest content. The overlay tile when app is select gets in the way of appreciating sometimes what in the window - could be made more translucent, perhaps. Depends on personal preference, workflow. Since native apps can sometimes offer more benefits by way of features, may not be the case that Station can adequately replace them. But for anyone who wants a single window based access to apps and services they use the most, Station is worth a try. Note that I run macOS, and cannot speak to the experience of installing or using Station on Windows. There is no problem as such that Station addresses - many if not all of the apps for the platform already have native macOS or Windows apps. What's neat about this solution is that it allows for all these disparate apps to live under a unified window. In some cases, the benefits of a native app are lost when dealing with a web based app. But for the select of apps I use and value, that's not really an issue, and Station offers a boost in productivity due to the fact that I don't have to monitor nine or more separate browser tabs or apps. I just have to go to one window. It is excellent to have access to all of the services and tools I use on a daily basis all in one place. The ability to quick-change and search compounds the ease of use and this is all without skipping a beat. I use this as my remote setup when not in the office - makes the work-from-home experience very easy to manage. My only gripe is that I'd like to have the ability to switch "Stations" - multiple instances of the app for different workspaces/teams. This may be something I can check out and setup myself though. It may seem silly to give up the native apps, but having access to all of the tools at a snap is too good to pass up. I have quicker access to tools that I regularly use, and having the snap access is creating an improved workflow for myself and my team. "Station is a habbit breaking game changer!" In addition to loving the overall design and UX of station, I really like how it aggregates all my common business applications and sites into one "window". Its funny how habitual we are and I continue to find myself wanting to switch between windows, programs, and many windows. And station has totally changed how I operate, for the better. I would like to see similar icons for the same application (such as multiple slack accounts and multiple Gmail accounts) be a bit better labeled / differentiated so that I can easily switch between them. Otherwise, that's about it! Absolutely worth giving a try. One important note: give yourself at least a couple weeks with the product so you can break some old bad habits. You just forget how used we are to the old way that you need to at least allow yourself to adjust before deciding if it is for you! I am solving getting lost in various applications and sites into much more focused work. I have noticed it helps keep me focused on the task at hand so much more. We all feel distracted and overwhelmed from information overload and Station really helps cut through the clutter. Station makes it incredibly easy and fluid to use my web apps. It makes accessing and switching between them really easy. I love the ability to create additional pages for a particular app and open links in new pages. It keeps all of my work very organized. The only real complaint I have is that I experience small bugs pretty regularly. None of them have been deal breakers by any means, but they are annoying. I think Station is well worth your consideration. It's a beautiful and powerful piece of software. Station gives me a consolidated place to access all of the applications I use throughout the day. I love being able to open up Station and having that one place to go for all of the tools I need. It allows me to be more productive and more organized. "Station really is that good"
Station finally allows us to dock all our platform apps in one place. No more endless open tabs, mixed in with all the usual work tasks we're doing. It tidies away our personal communications, team work apps like Trello or syndicated content updates (like Feedly, for example), into a tidy set of options, docked in one icon. It really makes a huge difference for anyone who wants a more organised desktop. I can't recommend it enough. A couple of teething issues, like rollover options that need a little work, or some app page updating that needs a little help now and again, but these are small inconveniences in the bigger picture of managing our platform SaaS lives. Station is the future. For either individuals or for company implementation, Station is very useful. I highly recommend. For me as an academic researcher, it means my main browsers are now dedicated to in depth research on a variety of sites and pages. Im not using up browser tab space on my own personal communication and information feeds. I can communicate privately with ease to others Im working with, and rely on tidy fast access whenever I need it. "Very useful as it is and with a lot of potential still to be delivered"
- Not exactly dislike, but multiple account managing could be easier, as so could be some admin stuff, like resetting Station to a fresh install (the current process is really easy, but maybe not for all types of users). - One minor annoyance is that with Okta, I get a: "Important: 5 of your apps require the Okta browser plugin" message and cannot really do anything about it as trying to install the plugin does nothing. "Time saver and organized workflow for online apps"
The fact that all of my important apps are in one place. The UI is very organized and easy to navigate through. Can't get any simpler. I recommend browsing through the available apps that Station has to offer. After browsing through, I realized that there are many apps that I didn't know i needed for doing my job as a digital strategist in a marketing/design company. Ease of use and being organized. Station definitely allows its users to get organized in one place. It is exactly what it says, one app to rule them all! Most of the apps we use at work are Google apps and this just makes it easier to have them all opened in one very simple platform. It also integrates with a lot more apps that your company works with. So it is all in one place and keeps it all very organised (no more thousand tabs opened!). It takes a bit to get use to and to break habits but once you've got the hang of it, you will never want to use anything else! It is still a work in progress so you will occasionally come across bugs. But the team is EXTREMELY reactive to this and it is generally fixed in a couple of days. Take time to play around with it and personalised to the way you want it. Everyone will use it differently and that's the beauty of Station. And force yourself to use it for a week or so until you are use to it and it'll be your go-to tool. Makes everyone more efficient. Just keeps it all organised. I can have access to my documents at all times in a very easy way. "The one app to host them all"
All in one place, manages my main app interactions. The left hand margin means it's easy to navigate between apps. Alerts in one place too keeps me on top of my chosen multiple apps way of working. When I move within (say) LinkedIn I sometimes lose the place I started from (like a search) so have to search again - no back button type of browser function. Skype and Skype direct messages aren't supported but there may be a good reason for this. If you used to have a hundred Chrome Tabs open then this is the app for you. It's integrated everything I need and more. More platforms than anyone could need, it's an impressive API for all modern digitally savvy professionals. Working across apps for contact; work assignment; tracking; replying and even using things like Zoom, WeTransfer and CamScanner makes this so seamless. I use a lot of different apps so whether it's Google Drive, Slack, Messenger What's App or GMail, there's one place where my alerts come in; one thing to close if I'm using my MacBook for presentations and one place to be fixed using my browser for browsing and Station for my work. Brilliant for running your desktop like an ecosystem not a RAM and power hungry series of tabs. "Focus and organization all in one tool"
Really easy to use and manage different apps that I use. It also makes it easier to avoid losing tabs when closing my browser. Ultimately the best part is being able to close Station at the end of every day and disconnect from work and then jump right back into work the next morning when I open Station again. If you're really looking for a tool to make your work day more focused then there's nothing better than Station. It's a really great way of making sure that when you need to work you can focus on work and there's no need to manage all of your browser tabs. Increasing focus and organization have been easy with Station. Now I don't have to worry about getting lost down a click hole when I open a new tab. I basically don't have an excuse to browse the web because most of what I need to work is in Station. Easy addition of apps and having all apps on one screen and very accessible. Lack of ability to add your own URL's. This would be helpful for sites that are internal only. Also a weird thing with Okta it shows as one of the built in apps but doesn't have the plugin installed and doesn't recognize it as being installed if used in a browser. This makes this app pretty much useless to anyone but the administrator as it doesn't auto sign you into anything. Be sure to check out the app list before installing. The lack of custom URL's as of this writing may make other products look more enticing. "All things work in one place!" It makes me more efficient every day - I don't have to re-open tabs all the time and I spend less time looking for stuff. "I simply cannot work without Station anymore"
My Chrome doesn't have numerous tabs opened as it used to before I knew Station. I can easily manage all my apps and their different instances. Some integrations are not at their best: I use github connexion through trello, and one action doesn't work: when I need to link a card to a pull request for instance. You will increase your productivity while reducing the RAM eaten by Chrome. "Station's where I spend my work days in "
I love that I don't have to worry about signing into my various SaaS apps or having to open them on Chrome—they're just all in my Station! Productivity and less back and forth/getting lost in my browser tabs. Link clicks opens browser. Notifications could be improved. Browsing one app to the other even simplified? Check this out, you'll be blown away! "Great functionality but heavy RAM usage"
"Great tool. A must for declutering "
"Get station is a beast and free too"
Multiple gmail / gsuite ac management. Superb fast hangout chat communication is the best part. User base is growing too. Although it covers all the major integration but misses out on skype, whatsapp. Although expect them to cover these as well. The app brings structures and overall management of to my apps. The app store can have even more apps that it has now. It saves time and keeps away chaos. I like having one login for all my SaaS apps. Time saved switching between apps is amazing, plus having notifications in one place is very helpful. Can on occasion slow down the computer. Managing multiple apps and avoiding having multiple tabs open, therefore keeping you more focused. "One to rule them all "
* We monitor all Station reviews to prevent fraudulent reviews and keep review quality high. We do not post reviews by company employees or direct competitors. Validated reviews require the user to submit a screenshot of the product containing their user ID, in order to verify a user is an actual user of the product. Hi there! Are you looking to implement a solution like Station?